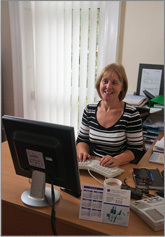 Dr McKenzie, took over an established private practice in 1990. 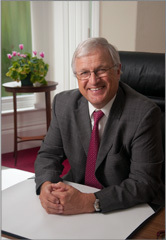 He had previously been a senior partner in a large NHS practice in Sheffield for nine years. "I qualified in medicine from Sheffield University in 1977. I completed a spell of training in hospital in general practice in 1981. Over the last 18 years I have had the opportunity to work in a wide variety of areas of medicine. I have pursued a number of different interests within medicine. For several years I was a medical officer for Sheffield Rugby Club, Sheffield Steelers Ice Hockey Club, American Football Team as well as attending other athletic and sporting events as a medical officer. I was a medical assessor for the medical benefits agency. I have also sat as a medical member for Disability Appeal Tribunals, assessing people’s entitlement to attendance allowance and disability living allowance. I have been a member of an appeal tribunal for considering fitness for work. In 1999 I obtained an Advanced Diploma in Occupational Medicine from Manchester University. I have had a longstanding interest in occupational medicine which I have enjoyed concurrently with my private general practice, looking after individual patients. I have been registered with the Healthcare Commission for a number of years. The Care Quality Commission has now taken over this role. I continue to undergo annual appraisal in general practice and in occupational medicine in order to keep up-to-date with changes in medicine. I aim to provide a high standard of personal service to private clients and companies. It is my intension to see patients as soon as possible or at a time convenient to them. A standard consultation time is 15 minutes but longer consultations are available. I believe that I have an effective and efficient appointment system that allows me to see patients on time. 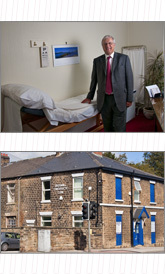 The practice is located close to the main residential area of Sheffield. Most patients can get to the surgery within 10-15munites. The practice is also handily located for many companies. My aim is to exceed my patient’s expectations”.